In stock. Order in the next 5 hours, 23 minutes and it will go out today! The Avatar Cards find the other cards belonging to them. 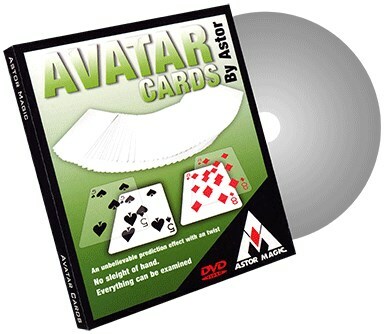 The two Avatar Cards are actually two cards printed on a transparent plexi card. These plexi cards are placed back into the face down deck. The Avatars will always be next to their mates. The magician shares the secret with the audience. He shows that he actually uses a blank face deck. The deck is really a blank face one, however the cards below the Avatar cards are real ones and exactly matching with the Avatar ones.